As a photographer I am always trying to grow in my understanding of photography: lighting, posing, editing, etc. As you know, I am doing this project to showcase some of the editing I have been working on. This photo was taken during a newborn photo shoot I did yesterday, which I did to work on using my speed lights as studio lighting. If you scroll down you will see what is close to the original of this picture...only edited for exposure and color tones/tints. But this version has some further editing done to it and I really love the results. 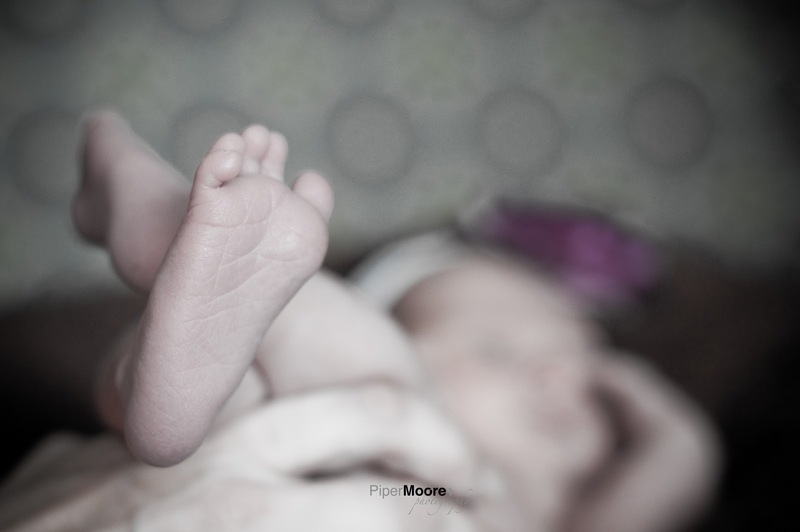 I think this may be my favorite newborn feet picture of all time.